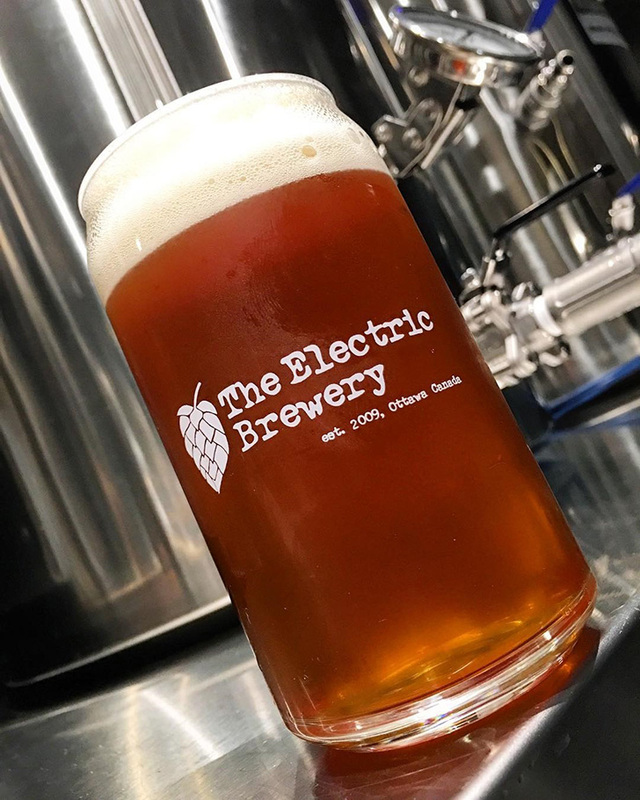 While not an official BJCP style, a West Coast IPA is an American style IPA that has been agressively hopped, almost to the point of being overwhelming and usually beyond what the BJCP style guidelines call for in a typical American IPA (40-70 IBU). Originally created by various breweries on the US west coast, varieties can now be found across the US and even in other countries. American hops are used throughout, often double the levels of what you'd see in a 'normal' American IPA. 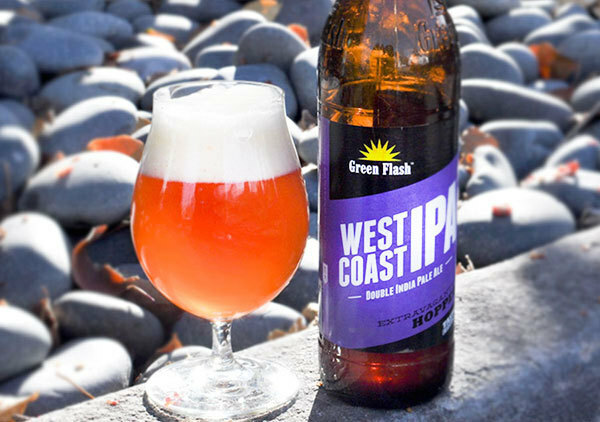 One of the most popular beers of this style is Green Flash West Coast IPA. I like a lot of Columbus hops in my West Coast style IPAs. It provides a strong earthy character with a unique pungent and dank hop-aroma. Some describe the aroma as being very similar to marijuana. It pairs extremely well with Simcoe hops which add piney qualities with a bit of fruitiness. The combination is intense, for hop lovers only. Columbus is one of the three "C" hops, including Centennial and Cascade. It's a dual-purpose hop that can be used for both bittering and flavour/aroma. It goes by other names including CTZ, which stands for Columbus, Tomahawk, and Zeus. Tomahawk is the exact same variety sold by a different producer, while Zeus is very close that it gets lumped in. 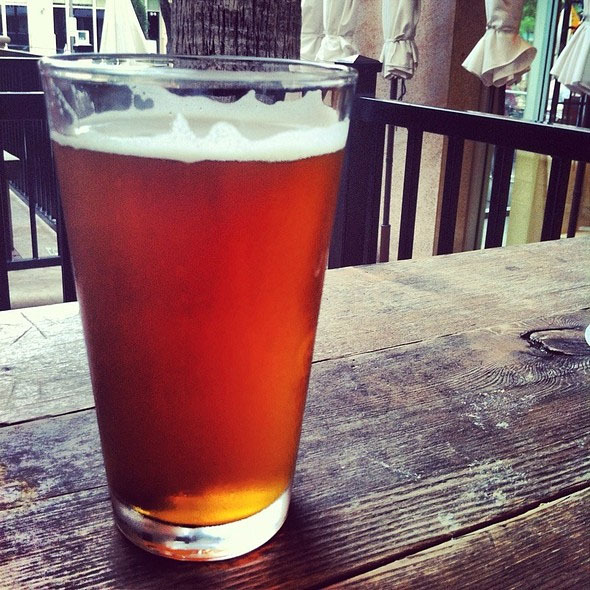 Other beers which feature Columbus hops prominently include: Pako’s IPA by Snake River Brewing, Bear Republic Racer 5, and Green Flash Hop Head Red. Note: I often prefer to brew IPAs that are high in hop flavour and aroma but not as over the top with bitterness so I've brewed this recipe by eliminating the 90 minute hop addition and increasing both 1 minute additions slightly from 1.0 to 1.5 oz. Try it both ways and see which you prefer. MARCH 2013 UPDATE: Green Flash West Coast IPA is now available in my neck of the woods and it's surprising how close my beer is to this commercial variety. 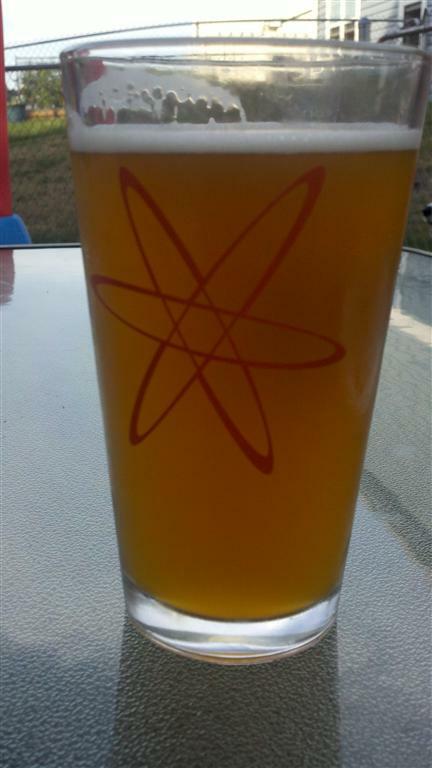 JULY 2013 UPDATE: This recipe won first place at an American IPA brewing competition organized by my local homebrew club. Complete details here. I've made this beer many times now and it always gets rave reviews from IPA lovers. If you enjoy Green Flash West Coast IPA, definitely give this recipe a try. I think you'll enjoy it. Brew up a batch and let me know how you like it! Add dry hops once fermentation is nearing completion (ie: below 1.015). Dry hop for 5-7 days total. I just wanted to say that I'll be brewing this up on the 4th of July. Looking forward to it. I just wanted to say that this came out pretty awesome. 3 weeks after brewing and I am enjoying this great beer! It's got a great floral aroma and the hop bitterness is not very high. Granted I love DIPAs. Very good summer brew. 1.072 OG and 1.014 FG. Came out at 7.7% ABV so it'll catch up to you on a hot day! I have a keggle setup and ended up using whole leaf hops with this and my false bottom for the boil kettle. I added a small stainless scrubby around the dip tube and solved all of my big IPA hop clogging issues. I've attached a copy of the Beersmith bsmx file. Just rename and you can easily import this. Thanks for the great recipe Kal! Glad you enjoyed it! I've made it a few times now and plan on making it again soon as I'm all out! 1) How much gelatin do you add? 2) Do you use pellets or leaves? All beer will eventually clear on its own if given enough time. We prefer to speed up the process as follows: Slowly dissolve one pouch of Knox unflavoured gelatin in a cup of warm distilled water and stir for a few minutes. Once clear, add it to the beer. The beer will become noticeably clearer within a few hours and be very clear within 3-4 days as the gelatine pulls suspended yeast and other solids to the bottom and forms a layer of sediment that will be left behind when packaging. One pouch is about 6-8g. I like to use pellet 99% of the time because (a) they're cheaper, (b) they compact better for storage, (c) they stay fresher longer, (d) more varieties are available, (e) less vegetal matter in the boil kettle/less wort soaked up & lost ... and probably a few other reasons I can't remember at the moment. Brewed 10 gallons in this yesterday. Perfect numbers! Bubbling away at 65F. I'll post results later. Absolutely spectacular. Great water profile suggestion! I love my brewery. Thanks Kal! Thanks for a great recipe Kal. I am drinking your older West Coast IPA version with the Vienna and love it. It certainly is a great big beer with loads of aroma and hop flavour without being overly bitter. Seems very well balanced. I'm glad you like it felon! I brewed the updated recipe ~5 weeks ago (without the 90 minute hops however) and it's been on tap now for a about 2 weeks so I had a pint of it last night. This is definitely one of my favourite recipes and the chages are extremely subtle compared to the original version. This beer's all about hops! Can someone tell me if this recipe is calling for dry hopping in the primary fermenter or in the secondary? Add dry hops once fermentation is nearing completion (ie: below 1.015). Dry hop for 7-10 days total. Like most brewers today, I never recommend a secondary fermentation. In other words, never rack the beer while it's activity fermenting. So the idea of primary or secondary fermenter no longer exists since you don't ferment in the secondary vessel. You have a fermenter, and you have a clearing vessel (sometimes called a brite or bright tank). I don't use a secondary fermenter. I rack from the primary to a bright tank. I have not had good results with dry hopping to the primary, but I believe that may be due to errors in my previous method. I use a conical in a closed system. My plan is to experiment with dry hopping with pellets after the gravity drops to -1.015. I will disconnect the blow-off tube tri-clamp and add the pellets through that opening. I will not re-connect the blow-off, just use a tri-clamp block-off plate. Do you purge the headspace with CO2 after you dry hop? Do you add CO2 at any point after dry hopping using a bottom port? Ha! Good point. I need to maybe rethink the wording on that. It comes straight from my brewing software. I can see how that may be confusing. You may of course dry hop in your second vessel if you like. It's really up to you. There's no need to if you do this in the primary since the vessel will be completely full of CO2. CO2 is heavier than air so taking the airlock off, dropping in some pellets, and re-adding the airlock means that no O2 has entered. If you feel some O2 may have gotten in, by all means purge. I use fermentation buckets and glass carboys. So no bottom port. I wouldn't add CO2 through a bottom port on any vessel that has one as that would probably bubble up and make a mess/cause lots of foam, not to mention you may get wort/beer into the CO2 lines. I wouldn't do that. I do use CO2 religiously to purge any vessel before I rack to it, be it a 5 gallon glass carboy (my brite tanks), or my kegs. This is especially critical with hoppy beers. This is shockingly similar to my house IPA differences being the C Hop portion is more heavily Centennial & Cascade and I like MO as my go to base malt. Kal, I see a WCIPA clone recipe at BrewersFriend.com (http://www.brewersfriend.com/homebrew/recipe/view/221865/green-flash-west-coast-ipa-clone). Not sure if it was you who created the BrewersFriend recipe or somebody else did and simply referenced you as the inspiration / source, but in any case the recipe calls for a pre-boil gravity of 1.048 and a target OG of 1.069. A 21-point (43%) rise in gravity seems like a lot. Do you ever plan for that much concentration, and if so do you boil for more than 90 mins to accomplish it? I listened to the original podcast just this morning of The Jamil Show / "Can You Brew It?" for cloning this beer, and the brewer (I think it was Tasty McDole?) mentioned a concentration from pre-boil = 1.054 to OG = 1.069. That seems more in line with my own experience.